DECC confirms exemptions for Timber Standard for arboricutural residues and land restoration projects. British forest owners and companies working on restoring natural habitats will find it easier to burn their old wood clippings as biomass instead of sending it to landfill, thanks to new rules published by the government this week. From next spring, biomass generators will need to prove that their supplies meet certain sustainability criteria in order to qualify for the subsidies on offer for the low carbon energy source. The government and environmental campaigners maintain that the new standards are necessary to ensure that demand for biomass fuel does not inadvertently lead to deforestation of virgin forests that would result in a net increase in emissions. However, a number of biomass industry insiders had raised concerns that the new criteria would introduce unnecessary red tape for foresters who produced sustainable supplies of biomass as a consequence of their main work. 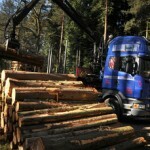 Yesterday, the Department of Energy and Climate Change (DECC) confirmed a number of exemptions for reporting biomass sustainability standards, including those who produce timber residues from thinning trees and general forest maintenance, as well as companies felling trees as part of programmes to restore natural habitats. The changes will affect those generators wishing to claim subsidies under the Renewables Obligation scheme for electricity and the Renewable Heat Incentive (RHI) from April, and is also expected to cover the new Contract for Difference support regime when it is launched later this year. 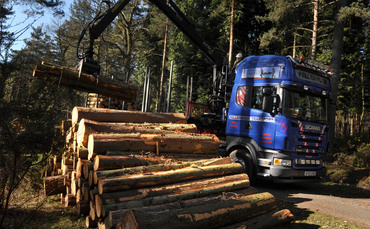 However, diseased trees have not been exempted from the Timber Standard, as the Forestry Commission warned that, with the growing threat of diseases such as Ash dieback, the change could lead to deteriorating forestry management and large volumes of timber being released onto the market. Frank Gordon, policy analyst for the Renewable Energy Association, which represents the biomass sector, welcomed the government’s “pragmatic” approach to implementing the new biomass sustainability criteria. “It’s vital to ensure that only genuinely sustainable, low carbon biomass is used for renewable energy generation, and these decisions will achieve that objective without placing excessive regulatory burdens on industry,” he told BusinessGreen. “Getting these details sorted will boost supplies of sustainable biomass fuel. This will help satisfy the increasing demand for wood heating under the RHI, as households and businesses seek to reduce their emissions and energy costs. However, a number of NGOs remain opposed to the plans, arguing that the standards do not go far enough and will struggle to ensure that only sustainable fuel is used. Specifically, campaigners fear that the creation of too many loopholes would make it harder to enforce the rules and would result in biomass supplies from non-certified areas where it is impossible to be sure that it has met sustainability standards. Others argued that there should be an obligation for compulsory replanting for any trees removed as part of land restoration projects. DECC countered that it expected the exemptions would help reduce red tape for fuel suppliers and some generators, while also reducing the amount of waste wood being diverted to landfill. Meanwhile, biomass power plants and those businesses that have installed biomass boilers will be celebrating, following news that raises the prospect of increased supplies of locally sourced fuel.